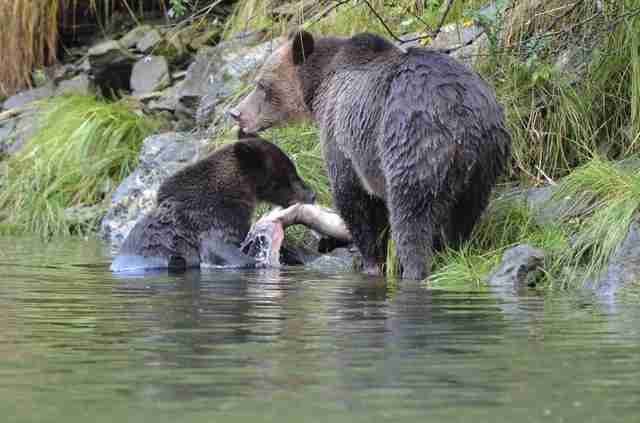 A couple of autumns ago, I ventured into the Great Bear Rainforest to learn new lessons about wildlife. Word was that humans in this place had returned to a much older way of living with animals. This remote Canadian temperate rainforest covers 21 million coastal acres along coastal British Columbia. 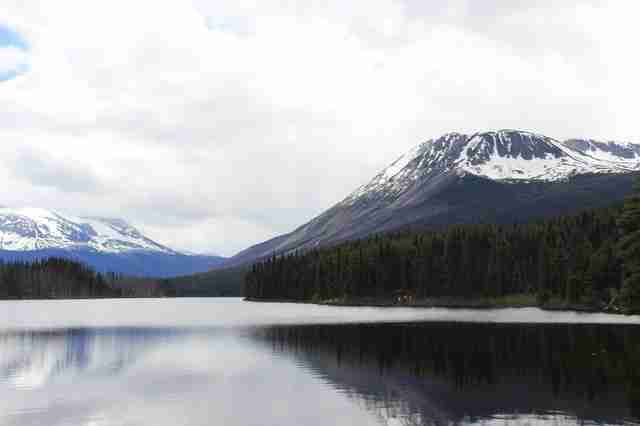 Five million acres of it are protected and closed to development as well as hunting bears and wolves. Only accessible by boat or seaplane, these conservancies lie scattered like emeralds flung from a giant's fist across 250 miles of ragged coastline. I sailed into this rainforest on the Ocean Light II, a seventy-one-foot ketch. My companions included Jenn Broom, who owned the boat, Captain Chris Turloch, and biologist Jim Halfpenny. 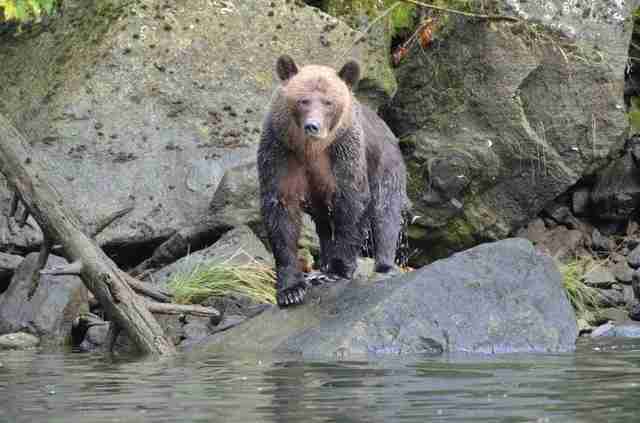 Along wave-scoured islands and in estuaries where the mouths of rivers met the sea we looked for bears - and found them. On the sixth day of our journey, Chris took us to the Khutze Bay estuary. At first light, we left the sailboat in a small Zodiac inflatable boat. Keeping the outboard engine purring on low throttle to avoid disturbing the wildlife, we cruised slowly up an inlet. Chris stopped the boat against a seagrass-covered shore, and waited. It didn't take long. Two figures emerged from the mist, walking toward us: a huge, beautiful grizzly bear mother and her tiny cub of the year. They stopped at the shore, thirty yards from us, where the bear mother immediately got down to business. She put her face into the water and swiftly pulled out what must've been a twenty-pound Coho salmon, its silver body flopping around, and passed it to her cub. The cub chewed on it a bit, and then dropped the slippery fish. She found the cub two other equally hefty salmon, which the cub promptly fumbled. The third one threw the cub off-balance, and both salmon and cub ended up in the water, where the fish swam off. Before joining her cub in the water for more fishing lessons, the bear mother's eyes met mine, mother to mother, a classic "What's a mother to do?" expression on her face. I know how it is, I thought, returning her look, I'm a mother too. This was a very different bear in her body language, especially in the relaxed eye contact she made, than any I'd experienced in Katmai and my wild Montana home. And she made me think about what coexistence really means. Until now, while peaceful, my hundreds of meetings with bears typically consisted of both of us consciously trying to minimize conflict. These accidental meetings often occurred while working as a scientist, collecting data afield, or while walking in the forest on my land. In these meetings, the bears usually didn't face me, passing me in profile without overtly acknowledging my presence, the better to avoid trouble. The Khutze bear mother brought up things beyond the pale. Was coexistence once very different than how we experience it today? Was the calm communion I experienced with her how our relations with bears once were? And if so, when did our relations with bears and the other carnivores go so wrong? The bear mother showed me how it once was between us and wild creatures sharp of tooth and claw, long before we thought we knew everything and could grow forests and elk like we grow cabbages, to paraphrase Aldo Leopold badly. When he wrote, "To keep every cog and wheel is the first precaution of intelligent tinkering," he was referring to the importance of saving large carnivores. 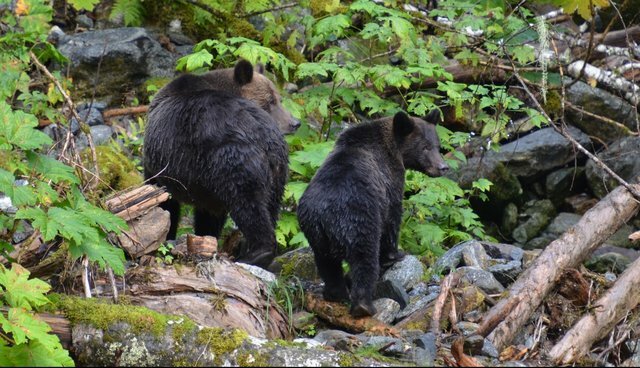 While we can't quite recreate the close relations we may once have had with living things, such as what I experienced in the Great Bear Rainforest, we can envision a world in which we base our relationships with carnivores and other animals on respect, rather than fear. A world where we allow carnivores to fulfill their ecological roles as much as possible. A world where we give them room to roam, so that their benefits cascade through whole ecosystems. Learn more about carnivore coexistence with the Island Press Rewilding Adventure sweepstakes, a once in a lifetime chance to join Cristina Eisenberg in Yellowstone National Park as part of her Yellowstone Association Institute course "Carnivores and Corridors." Experience what it means to have carnivore species roaming across the park's vast landscapes. Prize includes air travel, accommodations, rental car, course fees, and a complimentary copy of Eisenberg's "The Carnivore Way."